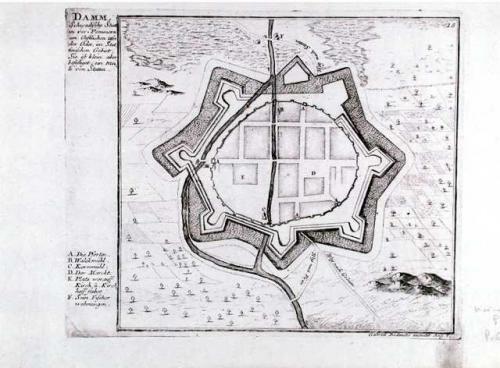 Plan of Damm (Stargard Szczecinski). Dating from the 15th century this town formed the outer defence perimeter of Stettin (Szczecin) situated 40 kilometers to the west. A description and key has been engraved to the left of the image. References: Augsburg, from 'Force d'Europe'.